In 1922 the 5th Earl of Carnarvon and Howard Carter discovered the tomb of Tutankhamun. It could be considered the first global world media event. It was, and is, a marvellous story about treasure, tragedy and of course, a curse. Despite the significance of the discovery, the first biography of Howard Carter was not written until 1972 and I have yet to write one about Lord Carnarvon! So I sat down to watch last night’s TV programme about the discovery of Tutankhamun with some anticipation. The problem for Highclere is that the 5th Earl was a real, not a fictional character. He was rather an intellectual, amusing man who had nearly died in a car accident in Schwalbach, Germany. He drove Panhard Levasseurs, an early French car. The accident had so compromised his lungs and health that his doctors advised him to avoid damp English winters and thus he chose to travel to Egypt each winter from 1905/6 onwards. His daughter Evelyn was just 4 years old when he started visiting Egypt and therefore did not travel with him but stayed at home at Highclere. In fact, she did not visit Egypt at all until the winter of 1919/1920, after the First World War. 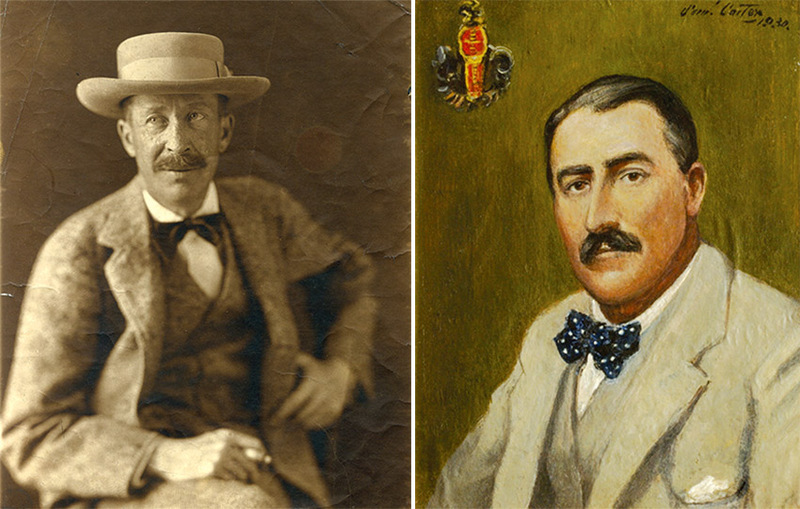 Lord Carnarvon was introduced to Howard Carter in 1909, through an eminent French Professor, Gaston Maspero, who was Director of Antiquities in Egypt. 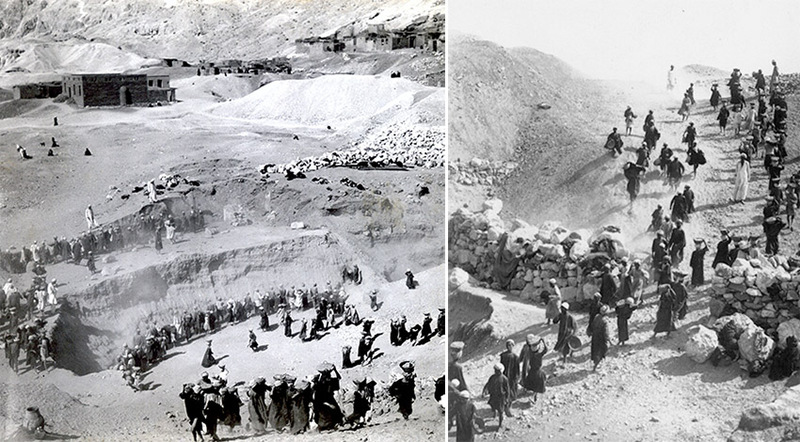 During the previous two years Lord Carnarvon had completed and photographed his first two years in the Valley of the Nobles which lay on the west bank at Luxor. He was organised and captivated. He and his wife, Almina, would stay at the Winter Palace Hotel, looking across the Nile, crossing each day by boat before riding a donkey to the dig. Egypt is an extraordinary country and one dominated by the River Nile. It is present in most of Lord Carnarvon’s remarkable collection of photographs of Egypt from this time and has dominated Egypt’s history since time immemorial. l.
In 1910 Lord Carnarvon built Howard Carter a house near the Valley of the Kings with bricks sent from England. Extraordinarily we still have a few here. Carter designed the house and it was nicknamed “Castle Carter” a tongue-in-cheek reference to Highclere Castle where Howard Carter would spend summer weekends in order to plan the following season’s projects. .
Lord Carnarvon often stayed at “Castle Carter” rather than the hotel as it was nearer the excavation sites and Lord Carnarvon had built a darkroom behind the house to process his photographs. Between them, they acted as foremen, supervising teams of local workers, perhaps 50 to 100 in each team, over two or three months. Carter and Carnarvon’s relationship with Egypt was, throughout their time there, marked by respect and passion, by diligence and fascination. It shines forth in their letters and in their enormous enthusiasm. 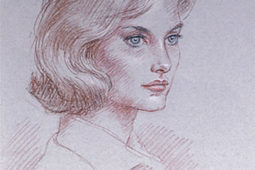 I began to research the story for our own exhibition here, to share the characters and detail of an extraordinary story. The exhibition is now in its eighth year. Howard Carter was devastated when Lord Carnarvon died in April 1923 and wrote: “My beloved friend…his judgement of ancient art has rarely been equalled. His efforts … to extend our knowledge of Egyptology will forever be honoured in history and by me his memory will always be cherished”. Fascinating story, and wonderful photographs. I like to believe that there are many treasures just waiting to be discovered! Thank you so much for sharing your home and family with us through this blog. I am always so happy to see a new message in my email that you are writing to us! I love the pictures in this post! I think it’s very sad that the 5th Earl was never able to come face-to-face with Tutankhamun after all of those years searching for something significant. It is fun to read about the Egyptian expeditions in your book about Almina so I’d be very interested to read a more in-depth novel about the 5th Earl. Thank you for sharing these posts and for opening up your home! I visited in late March and will never forget how lovely it was (even on a cold, grey day). “The glint of gold” was something that captured the imagination then as now – even on a March day so I am glad! Good Day!! Having visited Highclere Castle in the 90s and worked for American Express in Egypt in the tourist industry in the 80s and 90s, can attest to the fact that Lord Carnarvon “found” his vocation with his great friend Howard. Saw all the details documented by both men in Luxor, also staying at the Winter Palace, and the recovery in the museum in Cairo. They were really guided by the Gods of Egypt to discover and recover as much as they did during the time that they worked together. Then visiting your wonderful home gave another perspective to the Lord. How lovely to live in such history while experiencing the present day. Thank you once again for another glimpse into the history and memories of your home and family. 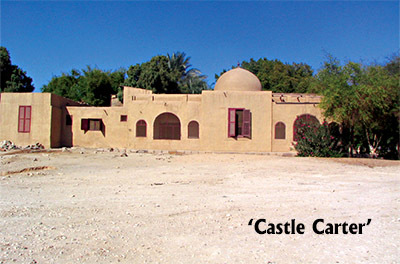 Castle Carters history sounds fascinating! How wonderful to have photos and memorabilia to help bring the story alive!! For 60 years my passion has been for Egyptology, specifically Akhenaten and Tutankhamun. George Edward Stanhope Molyneux Herbert, 5th Earl of Carnarvon and Howard Carter are part and parcel of this passion. 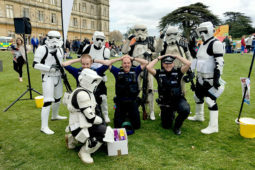 As is Highclere Castle and The Egyptian Exhibition housed there. I hope the current television show continues to show both men as they really were, and your next project is writing a book about the 5th Earl. I know I will be one of the first to buy and read it. Thank you – I will turn back to the 5th Earl, however I am still contemplating how to approach it. I have learnt a lot from doing this current book and will look to see how people enjoy it and I want to listen and observe which should be a guide for me! The photographs are phenomenal – just too much to choose from! Love the blogs. Can’t wait for your next book to be published! We cannot ship food items – but I guess I could do oven gloves and kitchenware perhaps. However I hope you might try to cook some of the recipes! I was just a bit confused by the passage relating to him being intellectual & amusing, nearly dying in a car accident, the type of car he drove, & his health being compromised. I am a new fan & enjoying your insights from a world so few will ever know. As a young man, he had a great love of books. His father was President of the Antiquities Society in Britain and we have a photo of the 5th Earl as a boy sitting beside the excavation of a bronze age tumulus here at Highclere. Equally Lord Carnarvon was fascinated by early technology, for example Geoffrey de Havilland made his first flight here at Highclere. Early cars were quite tricky to steer and stop which led to many crashes and when Lord Carnarvon had tried to avoid an ox cart in the middle of a road near Schwalbach he overturned his car. He had bad head injuries, fractured his jaw and damaged his lungs. Hence his doctors’ suggestion to avoid damp English winters. Traveling those long distances routinely was an adventure in and of itself. The tenacity of Lord Carnarvon and Lady Almina is inspiring. I’m glad you are taking the time and making the effort to reveal their character beyond the headlines. I hope I’m not being disrespectful but I always picture Lord and Lady Carnarvon as the undefeatable Amelia Peabody and Radcliffe Emerson in the wonderful mystery series by Elizabeth Peters. The series of perhaps 14 books takes place mostly in Egypt during the same time all those fantastic discoveries were taking place in the early 1900’s. Do you know the books? They are fun! Agatha Christie also wrote some excellent stories set in Egypt. On the friendship of Carter and Carnavon: To find a kindred spirit who shares your enthusiasm and passion for a subject is almost as difficult as discovering King Tut’s tomb. What a rare and rewarding treasure a friendship like that is! Was this friendship synergistic? where neither party could have discovered King Tut’s tomb without the help of the other. I think this next book will be your best. I just finished reading Andrea Wulf’s biography of Alexander Von Humbolt entitled The Invention of Nature: Alexander Von Humboldt’s New World. It was the best biography I ever read. At times while reading it, I became Alexander Von Humboldt and what an adventure I had! It was extraordinary. I think your book will be the same in that you can put the reader right in the Earl’s shoes. I can’t wait. It sounds like I should read that book! Carnarvon and Carter’s friendship was rewarding whilst few of Lord Carnarvon’s peers shared his passion. Of all the places in the world I would like to visit Egypt first. I wish it was safer. Did he bring anything home for you to keep ? Have you gone to Egypt to see where his excavation was? thank you so much for sharing your family story. When I read about Lady Almina in your book I realised that the digging Lord belonged to your castle! My aunt told me the fascinating story about Tuthankamon when I was a child, after her trip to The Valley of the Kings in the early fifties. I look forward to your book! Autumngreetings from a dedicated follower in Sweden! Almina was out in Egypt every year except for 1922. Awesome story – thank you. Isn’t it marvelous how a life saved from tragedy and detoured by infirmity led to the greatest discovery of the modern world. Keep moving forward – you never know what is around the bend. Once again you have amazed me with your writings.I too would love to read more about the 5th Earl.He seems to be a very fasenating man.I wounder if the reason for his sudden illness wasn’t caused by the curse? Please continue with your wonderful blogs, as I love to read them, as they teach me more about Highclere. I remain respectful if not wary of curses! I thoroughly enjoyed the exhibit at Highclere when I was there last December. Thanks for sharing these pictures. I look forward to your biography of the 5th Earl! Thank you Lady Carnarvan, I believe this is my favorite post of all yours that I’ve read. Up until the reading, I was unaware of the Egyptian connection, most likely can be blamed on my place of residence being currently in the United States. I love, love, love history, having majored in it at UCLA so I thank you heartily for a well-written, interesting article peppered with fascinating and informative pictures. Pulls the whole story together. I DO hope you write the autobiography. It will be well received. I thoroughly enjoyed reading your blog and viewing those photographs. I was particularly taken by the photo of the Suez Canal and the photo at the commencement of your blog. That latter photo is magnificent. A beautiful photo capturing an iconic image of Egypt. The layout of the Pyramids reminds me of Giza but was it taken further up the Nile? by the Earl of Carnarvon and Howard Carter: “Five years’ explorations at Thebes : a record of work done 1907-1911”. The book is described as including “chapters by F. Ll. Griffith, George Legrain, George Möller, Percy E. Newberry and Wilhelm Spiegelberg ; with seventy-nine plates and frontispiece”. Hope you and all fellow bloggers are well. 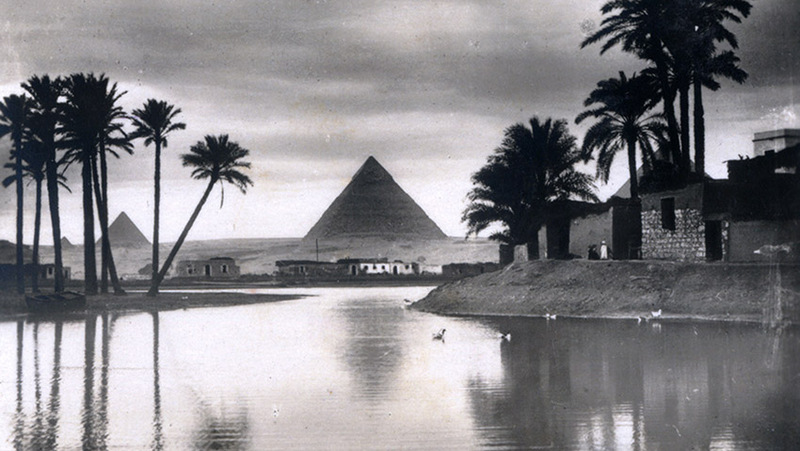 The photo was at Giza – they are amazing as it is a record of how the Nile used to flood. It is a great book we have Lord Carnarvon’s copy here. He published it to share, employing the best experts of his time with his photographs. An undertaking. I left Philadelphia a young man and after attending the American academy of dramatic arts in Pasadena at the time.. I owned a 1950 Chrysler Winsor convertible that I restored an was having a transmission problem. of a magnificent 2 story mansion built it looked like in 30’s. This woman turned out to be Evelyn Herbert Carnarvon. She immediately told me it was tea time and made me sit down at a table next to her kitchen. I asked her what was tea time, me from Philladelphia I never heard that. She disappeared back into kitchen and came out with 4 cookies and 2 Lipton tea bags in 2 cups of tea. We sat for 15-20 minutes sipping our tea and I asked her who she was and she told me that her dad found the first Egyptian tombs. Funny but I guess I can say I had tea with the real Downtown Abbey. Ned, are you sure this was not some kind of a dream? Cheers from Charleston, South Carolina. I hope the rest of your week to come is pleasant. I have great hat photos of men in Egypt so may be a little Indiana Jones!!! Dear Lady Carnarvon, I probably will never be able to visit your lovely home or Valley of the Pyramids, but I have spent a lot of time reading my big coffee table book Egyptian Treasures from the Egyptian Museum in Cairo by White Star Publishers. I love reading about your daily life and future projects you are considering. My wife and I hope to visit Highclere Castle some time in the future. I think you might have seen the Exhibition – I hope you liked it? Thank you so much Lady Carnarvon for all the details concerning the discovery on the tomb of Tuthankamon. Looking forward to visit HIghclere Castle next time I am in Great Britain. Thank you again for your wonderful research and information. I have been privileged to have seen the mezmorizing Tuthankamon artifacts multiple times since they first came on tour in the US in the late “70s and in your wonderful exhibit in the Lower Level of your beautiful home in April 2015. Such a tragedy that Lord Carnarvon, the 5th Earl, did not live to see the fruition of his efforts with Mr. Carter. As I looked forward to and enjoyed your previous books, I await with anticipation your future book on the 5th Earl! Kind regards. Watching the 2nd episode of the current TV programme last night (I missed the first) made me think of you all and I was delighted to find this on your blog. How wonderful to be doing this work with the family archives and to be sharing it for all those interested to see. I remember with great fondness meeting the now Dowager Countess, Lady Jean Carnarvon, and the 7th Earl some many years ago now. How lovely that you are making “the real Downton Abbey” a personal connection for so many people in this way. Thank you so much for this interesting article! I am just watching the dramatised TV series and I am am struggling to find out if some of the facts are real. I am stunned by the episode in which the Egyptian Antiquity service inform them that the law has changed and Lord Canarvon and Carter can not keep ANY of the contents of the tomb! I am really hoping that you will have some knowledge of whether this was true? I know the items are now in the museum in Cairo so I think it must be but Carter continued to work on the tomb for 10 years so I wonder how he was funded. 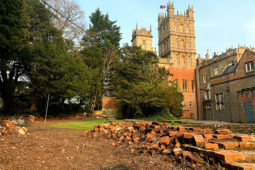 Also the TV series suggest that Lord Canarvon staked his entire fortune on the dig but HighClere is still here and beautiful so did his family, in actual fact, receive their share in the end? Was there this controversy? Thank you so much! I am hoping you can shed some light! How very interesting and delightful. Kudos to you, Lady Canarvon. Another interesting & historical lesson! The pictures were fabulous! I love looking at old photos. They add life to a story. I’ve always loved adventure movies, especially in exotic places such as Egypt. What an adventure that must have been! Perhaps in future you could do a post of just old photos with a story of each. You are so lucky to be surrounded by such rich history! I eagerly await your future blog posts. Dear Lady, Carnarvon, Thank u so much for all the wonderful info. concerning Highclere, the history is really wonderful and interesting. I really enjoy all the info. concerning all the Egyptian artifacts also and not to mention on Downton Abbey and the filming at Highclere. I am new to your blog and so far everything is wonderful. Recently was in Howard Carter’s Castle at the beginning of the Valley of the Kings. I love to visit when I have friends and guests staying with me at Villa Lostris here in Luxor. As a treat we sometimes have afternoon tea in the Winter Palace. Feel a part of history everyday living here. G’day, Nice blog. I am keen to read a lot more of your articles. Fish on. I think my well research book will show Lord Carnarvon as he was. An olde English genteeleman. He was a great man. Thank you for taking the time to share this fascinating history. I work near Newhall and Bretby where I understand Lord Carnarvon owned Bretby Colliery and Bretby Hall. The bricks used to build the foundations of Castle Carter are said to have come from a brickworks in this area, with one book stating they possibly came from either the Stanton Lane brickworks owned by Lake and Sons or the Bretby Brick and Stoneware Company Ltd owned by the Barnes family. Do the family have any records that can clarify where the bricks were made? I run a recording studio on the site of the old Bretby Brick and Stoneware Co. Most of the site has sadly fallen into disrepair. I’ve just started researching the history of the local area as I think it should be celebrated more and hope that highlighting it may kindle an interest in preserving what’s left of the site. I am so pleased to read your blog as I was in touch with you about a year ago. I received a Christmas Card from you with regard to my cousin who was in Egypt at the same time as Lord Carnarvon. I visited Highclere Castle two years ago and was fascinated by the wonderful Exhibition of antiquities. I am also interested in your new project in the Barn. My cousin’s name is Charles Kyrle Wilkinson and I did send some more information about him to you. I hope you received it. I am still trying to find out more about his work (he has written several books) in the expedition in Egypt. He was there in 1920 when he was reproducing the wonderful drawings in the tombs. He went on to be Curator at the Metropolitan Museum of Art in New York. I am also keen to find out any more regarding the other people engaged in the exploration. Perhaps some more information has been discovered. I would be thrilled to hear any news. Your blog is always so fascinating to read ,and with such detail ,so much so I keep going back over previous articles. I to have stayed in the Winter Palace several times,and it conjures up so many memories of a bygone era,indeed the Winter Palace is very much in a time warp with its genteel atmosphere. I am totally baffled as to why Howard Carter was never ennobled,he was never feted in England and yet America went wild for him. During the past couple of weeks, our local PBS station aired “The Mummy of Tutankamun”. It was extremely interesting and believe it was as true to history as possible. A very well-done mini series. Hopefully you will be able to see it!